It’s fascinating how one mulberry or one thornless blackberry can sustain me while I work in the orchard. Just that brief sweet juicy explosion can satisfy, nourish and make me smile. 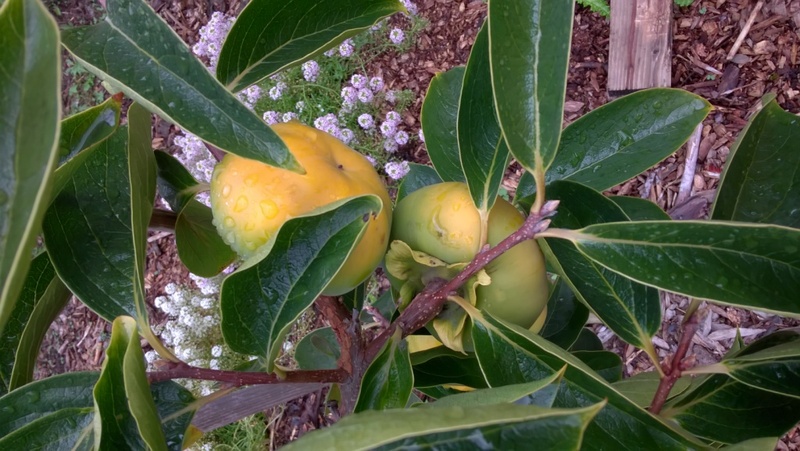 These two fruits are new to the orchard and they have proved their worth. 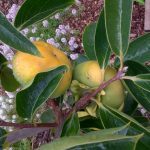 It will be several weeks before we know whether the new persimmons will mature or not but otherwise, we are nearly finished with the harvest. We have donated an estimated 244 pounds to the food bank. Now, however, the sun weakens and plant production is slowing. 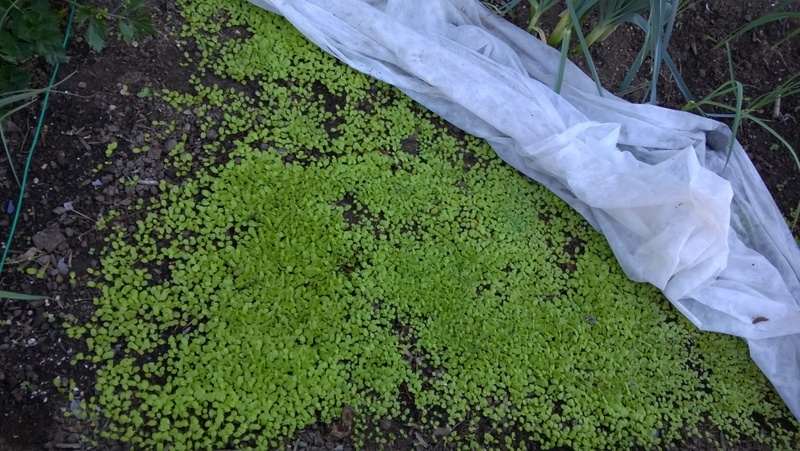 The transition to fall plants such as radish, lettuce, cilantro, mustards, arugula and various cover crops has begun. 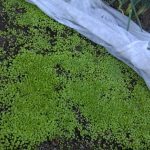 Check out that germination rate of lettuce that Sue let go to seed! It looks like carpet. Thinning could be a challenge. We ended up with tasty samples of all apple and pear varieties, even though the winter moth larvae took out many of the blossoms last spring. The good ole Liberty was the best performer and we have enough Liberty to reward the Cider Fest volunteers this coming Saturday. The dry summer taxed every plant. Our aim is to water just enough to keep the fruit and nut trees in good health. I believe that they got enough water but next year’s crop will tell the tale. We do think the berries and grapes were under watered. Sat, Oct 7, 2-5, Cider Fest! Apple contributions are welcome! We have science exhibits for the kids. Cider and pie slices. In the interest of saving water, saving time watering, and allowing watering to be physically easy, we have applied for another Seattle Dept of Neighborhood matching grant. 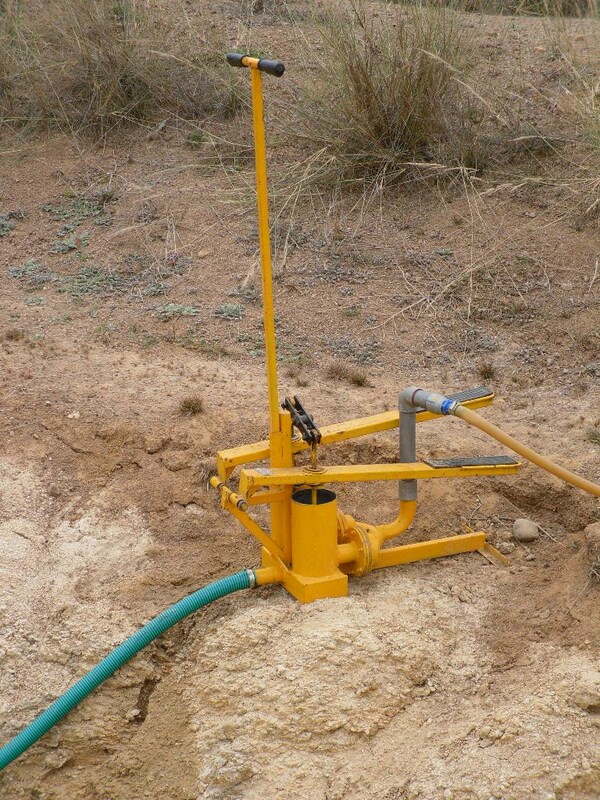 It’s a small grant, about $10,000, but should be enough to buy a manual pump, ollas, some vertical perforated pipe and low-pressure, gravity fed drip irrigation materials. We also are beneficiaries of a used 1,000-gallon cistern, which could be enough assistance to free us from using city water. 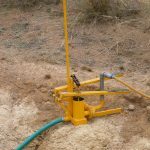 We are in need of a mechanical or civil engineer to help us with choice of pump to carry water from the cisterns out to the beds. Choosing the right pump will be critical to the efficacy of the whole irrigation system to the food bank beds. Contact us if that engineer is you or your friend! Please join us for our annual celebration next Saturday between 2-5pm, rain or shine. This entry was posted in Construction, Grants & Fundraising, Plants, Uncategorized and tagged Cider Fest, food bank, harvest, olla, watering on October 1, 2017 by Ruth. Ruth, the work you and everyone does is so admirable. I hope to drop by the cider fest. Good going, Ruth! Always a pleasure to get your posts!